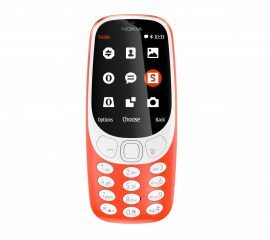 Vodacom Rentals offers you a variety of easy to use mobile phone choices like the Nokia 130, Nokia C2, Nokia 301 and Nokia 220. Together with a local Vodacom SIM card you can talk, SMS and have data capabilities. You can book online, collect and drop your rental at any of our stores conveniently located at ALL major airports in South Africa. Avoid high roaming & hotel charges! More convenient than prepaid and no running out of call credit! A security deposit is required for non account holding clients when you rent, on conclusion of the rental a comprehensive itemized bill will be dispatched via email to you. Your final invoice will be deducted from the deposit and the balance will be refunded back to your credit card. Additional charges may be incurred when sending an SMS to a Premium SMS based service, other than those advertised or quoted by the Service Provider. Rates for Film and Shipping clients are specific and heavily reduced. Please request a quote so that we can specifically cater for your Job.